Sun Village B-108A , Lihue Remodeled studio. Owned by Hudson Homes. No price yet. Leasehold. 4325 Ioela Pl, Kilauea. 3 bedroom on top and numerous rooms bottom. No price yet. Kilauea Homes for Sale. 4630 Kanaele Rd, Kapaa 5 bedroom 3 bath home. MLS# 625519. $479,900. Owned by WILMINGTON SAVINGS FUND SOCIETY FSB, Trustee. 2461 Keneke St, Kilauea 3 bedroom 2 bath home sold occupied. Reduced $467,500. MLS#621053. Owned by: Bank of New York Mellon TRS. 1370 Hono Ohana Place, Wailua Homesteads. 4 bedroom 2 bath on over 3 acres. $674,900. MLS# 621042. Owned by Wilmington Savings Fund Society TRS. 3888 Gallo Place, Kalaheo. 3 bedroom 3 bath. Reduced to $614,900. MLS# 620981. Owned by US Bank National Association. 9825 Uuku Road, Waimea. 3 bedroom 1.5 bath. Reduced to $429,900. MLS# 619810. Owned by Federal National Mortgage Association. 4539 Akialoa Rd, Kekaha. 3 bedroom 1.5 bath Reduced $334,900. MLS# 621713. Owned by Caliber/Hudson Homes. 3887 Gallo Pl., Kalaheo. 3 Bedroom 3 bath. Reduced $529,900. MLS#616209 Owned by Wilmington Savings Fund Society FSB. 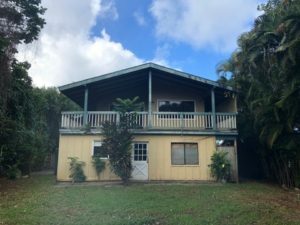 356 MIULANA PL., KAPAA, HI 96746. (Wailua Houselots) 2 bedroom 3 bath home. 1644 SQ. FT. Reduced $559,900. MLS# 621111. Owned by U S BANK TRUST NA TRST. 6670 Puupilo Place, Wailua Homesteads 3 bedroom 2.5 bath $659,900. MLS# 625078 owned by U S BANK NA, Trustee. 4470 Ihope Place #A, Kilauea. 3 bedroom 2 bath home. MLS#622863. Reduced to $404,900. Owned by CITIBANK NA TRS. 4424 Kilauea Rd., Kilauea. 3 bedroom 1.5 bath. $499,900. MLS# 619489. Owned by FEDERAL NATIONAL MORTGAGE ASSOCIATION. Manualoha #704, Poipu. 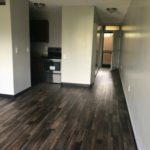 3 bedroom 3 bath condo. $702,050. MLS# 623172. Serviced by Nationstar Mortgage. 4794 Lae Rd. #A, Kalaheo. 1 bedroom 1 bath on 3 acres. $698,000. MLS# 613705. Owned by Kauai Community Federal Credit Union. Manualoha #704, Poipu. 3 bedroom 3 bath condo. $702,050. MLS# 623172. Serviced by Nationstar Mortgage. Sold for $552,300 CASH 1/15/2019. 3681 Pua-Kenikeni St, Lawai. 3 bedroom 2.5 bath home. Owned by MTGLQ INVESTORS LP. Reduced to $639,900. MLS# 621208. Sold for $627,500 CONV 1/02/2019. 181 Pokukala St, Wailua Homesteads. 3 bedroom 3 baths. $614,900. MLS# 624307. Owned by Freddie Mac. Sold for $610,500 CONV 1/31/2019. 6011 Olohena Road, Kapaa 3 bedroom 2 bath on a half acre. $699,000 MLS#622445. Owned by DEUTSCHE BANK NATIONAL TRUST CO. Sold for $611,500 CONV 1/08/2019. 3691 Albert Rd., Princeville. 3 bedroom 3 bath. Reduced to $674,900. MLS#618191 Owned by Onewest Bank FSB. Sold for $605,000 CASH 1/2/2019. 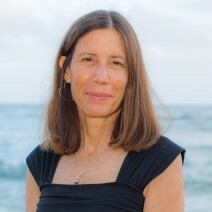 Are you ready to buy Kauai real estate this year? Let us know at Kauai Dreams Realty. We have a great staff, ready to work hard to find you that right property. Call 808 652-6174 or email today julie@hisemail.net .